I hear often people say things like, “You’re always doing something”, or “You have so much fun”, or “Do you ever slow down”. My answers are often, “Yes. Yes. 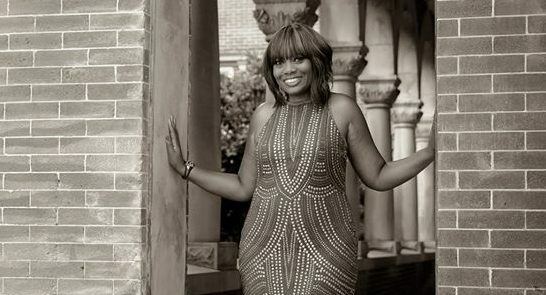 And Nope.” Unapologetically, I will turn any appropriate event into a party, celebration, event, shindig, soiree’ or picture-taking, memory-making occasion. There are reasons for why I do what I do that’s probably explained in a blog post or two. By no means has my life been perfect, easy, fair, or fun all the time, but the general gist of things is that life, in my eyes, is a celebration and there’s no need for me to be here and not enjoy it to the fullest. 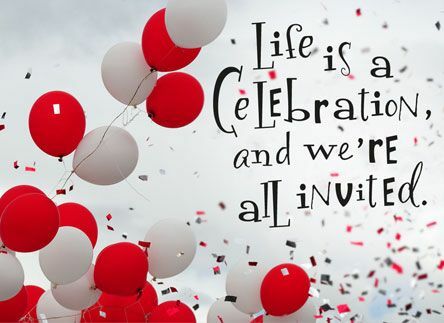 Life is a celebration and we all received an invitation. So yes, I will make a trip to Wal-Mart look and feel like an upscale shopping spree in West Palm Beach’s CityPlace. No, I don’t mind stretching $8 to make it look like an $80 experience. Yes, I welcome the mundane Sunday afternoon turned into a full-fledged picnic in the drive way with the latest music blasting from an I-phone. Absolutely, I appreciate the free Happy Hours, discount buffets, Ladies’ Nights at the restaurant where my girls and I are treated like Norm from Cheers (everybody knows our names) and gift-card inspired opportunities. By all means, I relish the fun family times (even times where we’ve turned hospital waiting rooms into a barbecue ribs party as we ate, prayed and shared a bit of sunshine with other families in need of a miracle). I invite the impromptu football viewing parties, the mid-day laughfest with friends over a salad and cake, the quick road trips up 65-South or Interstate-20, or anything else I’m able to do because, while I may not (YET) be able to to all I want to do I’m surely grateful to God for being able to do what I do. Why? Because life has taught me not to take it for granted. I’ve accepted that it would be so much easier to sulk and whimper, pout and point the finger. I could very liberally live in regret or comparison, disappointment or antsy-ness regarding things of old or things of new, but instead I prefer to look at the bright side, and surround myself with people who can remind me of the bright side when my view gets a bit hazy. This life is all we have, people. It really truly is our best shot at Heaven on Earth until we actually make it to the grand finale in the sky. 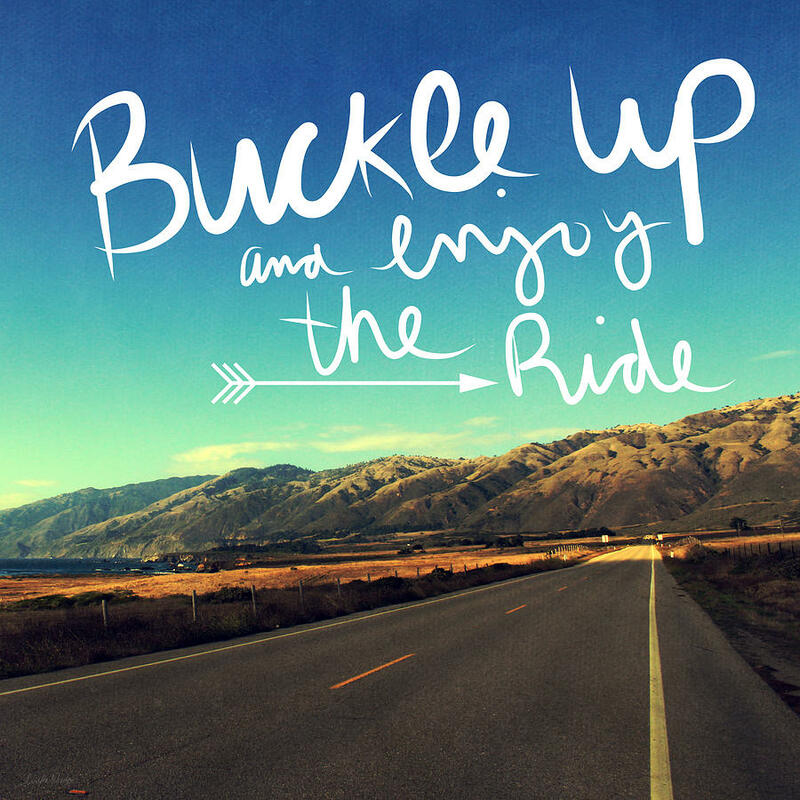 With that in mind, I sincerely believe it’s better to just buckle up, trust the Tour Guide, be determined to make memorable, gather up some cool kids to enjoy the ride with you and do that…enjoy the ride. This entry was posted in Encouragement, Faith and tagged Celebration, life, Party, Roadtrip. Bookmark the permalink.